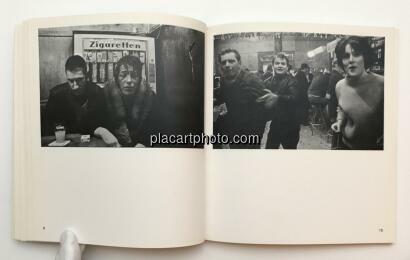 Comments: Softcover under dust jacket, 240 x 220 mm. 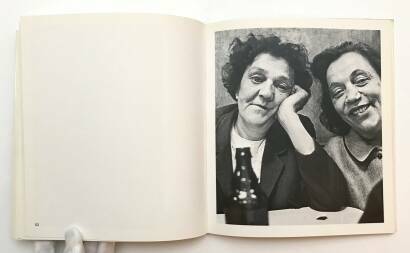 First edition 1978. Black & white photographs. Text in german. Some corners of dust jacket a little torn but otherwise in very good condition. 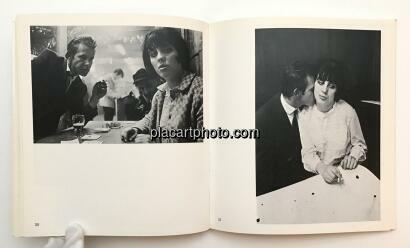 Included in The Photobook by Parr & Badger, vol.1, p. 231. Collectible book. 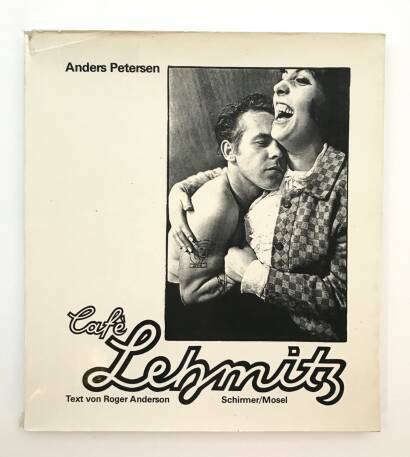 Cafe Lehmitz, a beer joint at the Reeperbahn, was a meeting point for many who worked in Hamburg's red-light district: prostitutes, pimps, transvestites, workers, and petty criminals. 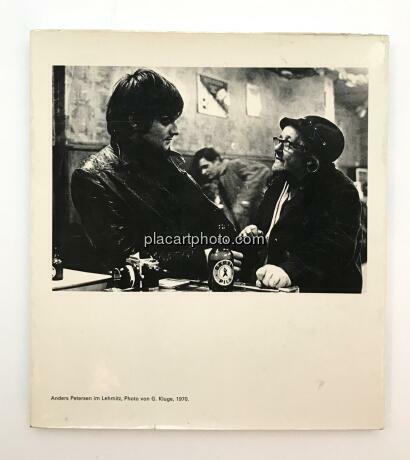 Anders Petersen was 18 years old when he first visited Hamburg in 1962, chanced upon Cafe Lehmitz, and established friends that made an impact on his life. 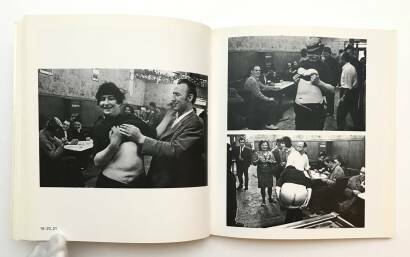 In 1968 he returned to Lehmitz, found new 'regulars,' renewed contact and began to take pictures. 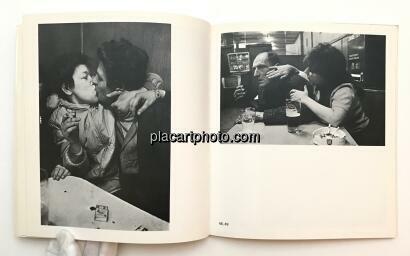 His photographs have become classics of their genre- Tom Waits used our cover picture for his album Raindogs. 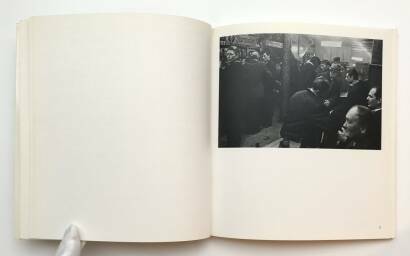 Their candidness and authenticity continue to move the viewer. The solidarity evident in them prevents voyeurism or false pity arising vis-a-vis a milieu generally referred to as 'asocial.' 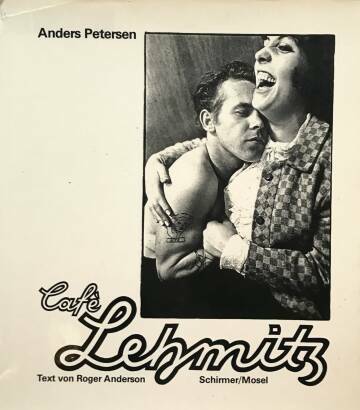 The 'other' world of Cafe Lehmitz, which no longer exists in this form, becomes visible as a lively community with its own self-image and dignity.